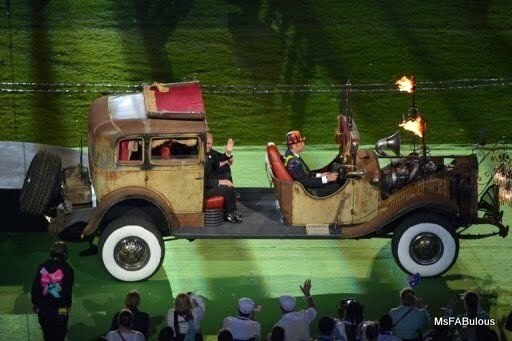 In case you missed it...The Olympics closing ceremonies showed us fantastic Gothic fashion with Annie Lennox and crew. For the Paralympics, Rihanna and Coldplay wowed us with a brilliant display of Steampunk. If you are a fan of fashion competition show Project Runway, you are familiar with designer Christian Siriano's flair for the dramatic. During NY Fashion Week in February, he showed a beautiful runway collection inspired by classic horror movie queens. 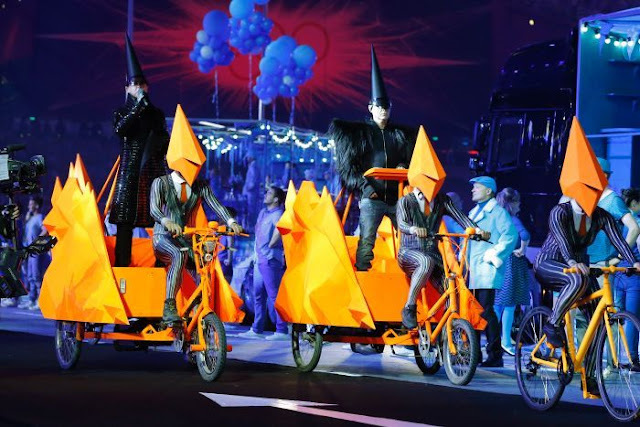 First, my beloved Pet Shop Boys rolled out in bright orange origami-like carts dressed in dramatic Gareth Pugh. Next, Britain's supermodels strutted out custom gold gowns made by British fashion designers like Sarah Burton for Alexander McQueen and Vivienne Westwood. 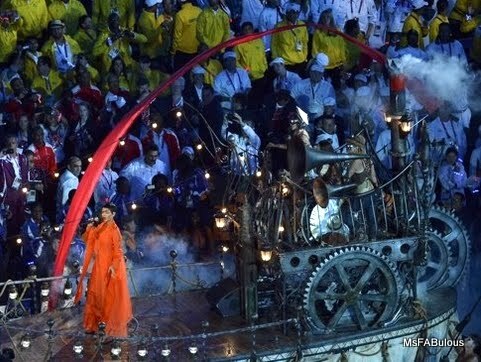 Finally, Annie Lennox entered the stadium like a vampire queen. She descended down from a massive black ship into a chorus of dramatically clad dancers. The dancers were dressed in gorgeous voluminous gowns in period silhouettes. 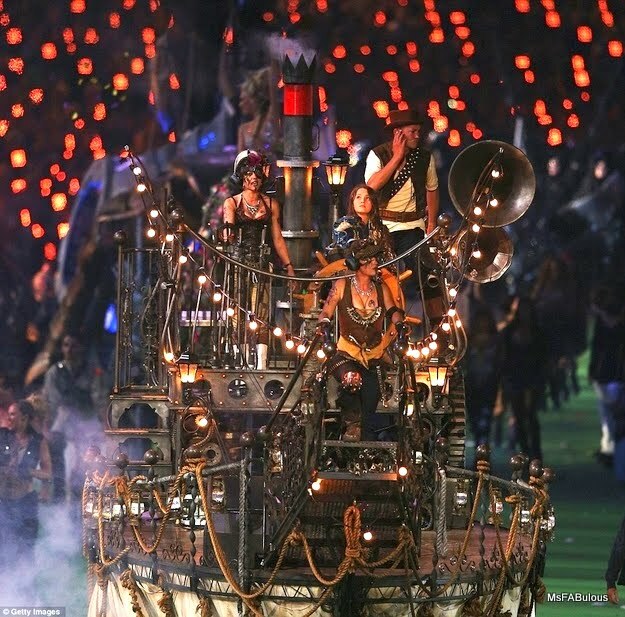 The heavily shadowed eyes, black lace, corsets, skulls and bustles were distinctively Goth. 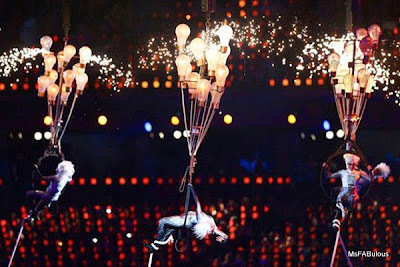 Ok Brasil, London has set the bar pretty high...What will you do to follow that? Happy Friday everyone! I just wanted to share an interview I did with new Canadian magazine, Deathly Romantic. They feature the best in artists, beauty and style with a darker aesthetic.